SYDNEY - September 7, 2016 - Io-Interactive today confirms that Episode 5 of HITMAN will be set in Colorado and will be arriving on September 27th. For the penultimate episode in HITMAN Season One, the mission “Freedom Fighters” is not one to be taken lightly. Agent 47 must infiltrate a Colorado farm compound that has been converted into a private militia training camp. Players are presented with an intense infiltration mission to locate and take out four targets. Sean Rose, Maya Parvati, Ezra Berg and Penelope Graves are four very different, very dangerous people, each with their own specialist skillset ranging from environmental terrorism to chemical interrogation. This will be the toughest assignment yet for Agent 47. Players must utilize all the skills learned so far. With all-new opportunities and disguises, and with 70 different challenges unlocking brand new gear, weapons, and items, Episode 5: Colorado rewards players with huge story revelations as the season builds towards a thrilling climax. 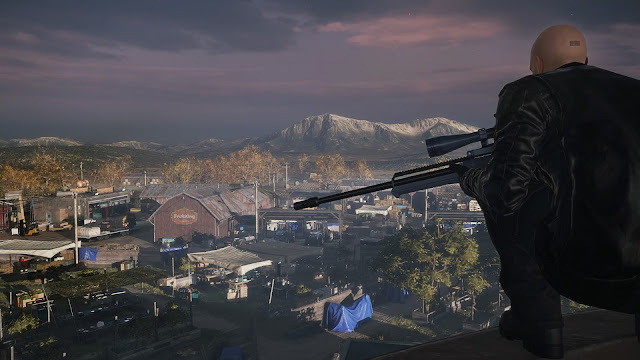 HITMAN began with a Prologue and Paris location in March, continued with Episode 2: Sapienza in April, Episode 3: Marrakesh in May, the Summer Bonus Episode in July, Episode 4: Bangkok in August and Episode 5: Colorado in September. The season finale in Japan will arrive later in 2016.